Although Athens is a convenient city to explore on foot, it is also a fun place to get around on a bike. 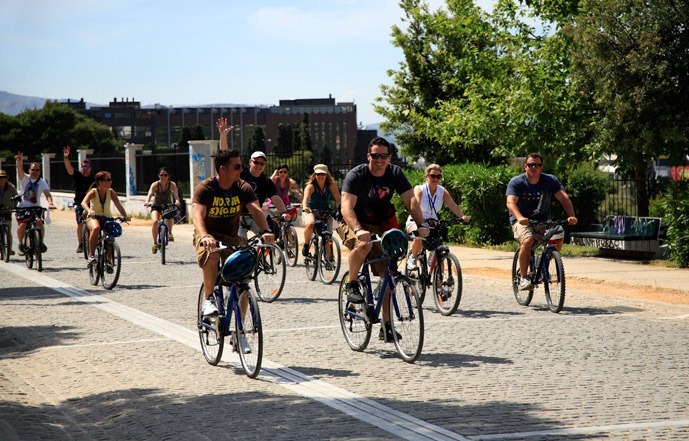 In fact, there are many organized Athens bike tours over the last years that combine a visit to the most important archaeological sites in the city centre plus some secret places that tourists usually miss. Here are the most interesting Athens bike tours that Greeka.com offers. This is the most typical of all Athens bike tours and allows a ride around the most central spots and interesting sites of the city. This is a fantastic bike ride, especially made for amateur cyclists as the majority of the cycling route is paved and has very limited car traffic. Our bike tour in the center of Athens starts and ends in the Acropolis region, making a round trip of the historical centre of the city. This means that we shall ride by important monuments and sites, including the Olympian Zeus Temple, the Ancient Agora, the Stoa of Attalos and the cemetery of Kerameikos, a great ancient site that is frequently left out from many guided tours. This Athens city centre bike tour is accompanied by an English speaking guide. This is one of the latest trends in Athens bike tours. The electric bike tour needs much less effort than the normal bike, which is very important on hot days or with people who are not used to cycling. 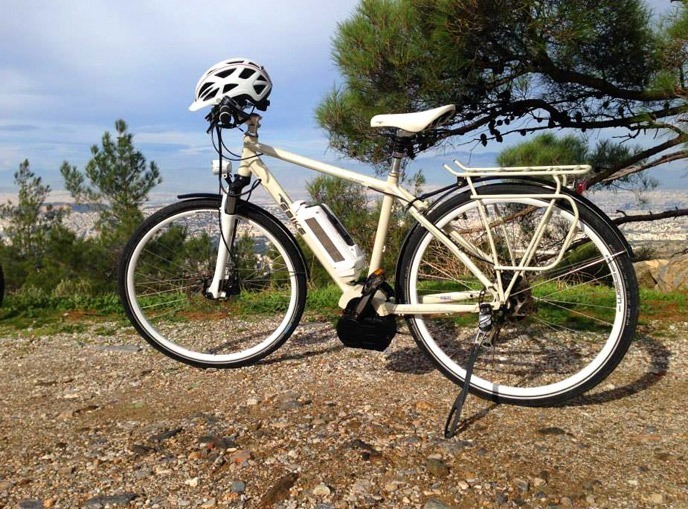 Our All Athens electric bike tour passes by the main historical sights of the Greek capital, including the picturesque quarter of Plaka, the Acropolis Hill, the Theatre of Herodes Atticus, the Philopappos Hill, the Greek Parliament and many others. The special thing about this tour is that participants also ride to Lycabettus Hill, a place that few tourists visit but certainly offers a magnificent view over the city. 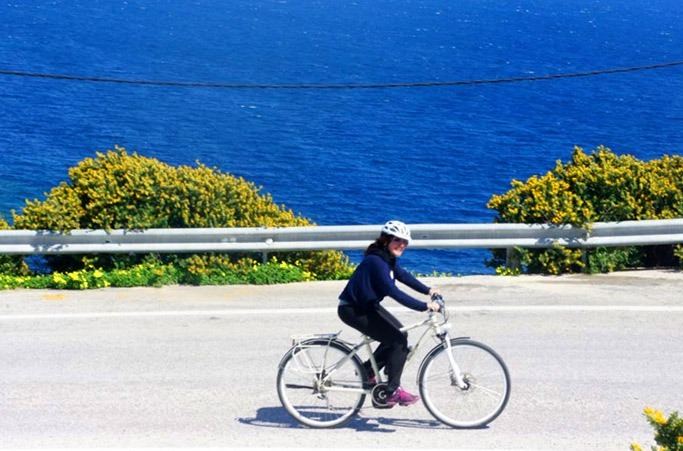 If you are more experienced in cycling and want to explore more than the city centre of Athens, then this electric bike tour to Cape Sounion is for you! We meet and depart from Lake Vouliagmeni, a place of fantastic natural beauty on the southern suburbs of Athens. We get on the bike and start out 60km cycling tour until Cape Sounion, the southernmost spot of Athens where we shall see the famous Temple of Poseidon. This 60km ride takes place along the coastal road, the famous Athens Riviera. At the end of the tour, we have lunch and drink ouzo at a nice seaside tavern. You can have as much ouzo as you want because you will not have to cycle back: we provide the return transfer to the centre of Athens!